The SEC (and the U.S. Congress through SOX) may wish to re-evaluate its economic rationale behind mandating all firms to adopt fully independent /three-person audit committees. 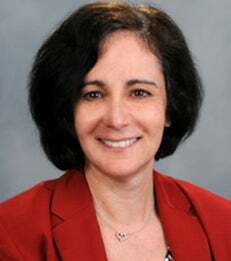 Since 1999, the Securities & Exchange Commission has required corporate boards to maintain no fewer than three members on their audit committees, and no audit committee member must bear any relationship to the company “that may interfere with the exercise of their independence from management and the company.” New research by NYU Stern Professor April Klein shows that this requirement has not benefited either companies or their shareholders in any measurable way. In "Did the 1999 NYSE and NASDAQ Listing Standard Changes on Audit Committee Composition Benefit Investors?" Professor Klein and Professor Seil Kim of CUNY’s Baruch College analyzed financial and governance information on 1,122 companies with an average market capitalization of $6.4 billion. They examined both to what extent firms complied with the regulation and whether the market rewarded them for it. Within four years of the first announcement of the prospective new rule, the proportion of independent AC directors among firms that on the announcement date would not have met the new standard, increased by 21.4 percent. Yet the data showed that market-adjusted stock returns for these out-of-compliance firms as the regulation was discussed and formalized over a 15-month period showed no significant uptick. Out-of-compliance firms with histories of subpar accounting quality also showed no positive stock returns. The professors also find a lack of evidence that financial reporting quality improved for firms forced into abiding by the new regulations. The study appears in the November issue of The Accounting Review, published six times yearly by the American Accounting Association.